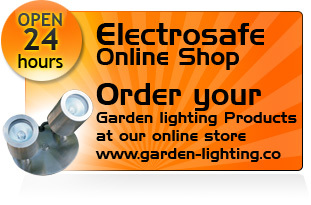 Welcome to Electrosafe, the home of magical garden lighting. With our help you can transform your outdoor space into a beautiful, ethereal wonderland that makes it as stunning at night as it is in the day - if not more so. We provide design and installation services throughout Greater London and beyond so if you if you want to make the most of your property get in touch today. 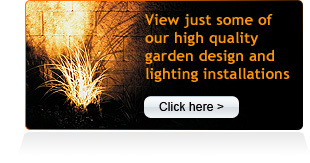 The two biggest benefits of garden lighting are beauty and security. 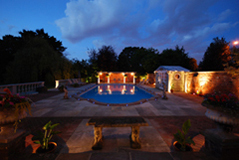 A property is safer with garden lighting as it deters trespassers and potential thieves from coming anywhere near, and the aesthetic appeal of amazing lighting is great. With landscape garden lighting you can really highlight the features of your outdoor area, therefore enhancing your entire property. If you want to transform your garden into a magical starlit paradise, browse our services on the site and get in touch today. Contact us today to discuss your garden and the huge range of options available to you; we offer completely no obligation quotations and like nothing more than to provide you the benefit of our experience.